CHARLOTTE, NC - US Indoor Lacrosse (USIL) is pleased to announce that Syracuse University alumni and former National Lacrosse League (NLL) and Major League Lacrosse (MLL) star Roy Colsey will serve as Head Coach for United States at the 2019 IIJL World Junior Lacrosse Championship. “Roy's passion for the game, desire to see it grow, and proven track record as a player and a coach makes him the perfect candidate to lead the 2019 U20 USA Junior Indoor Team", said USIL President Graham D'Alvia. A Yorktown Heights, NY native, Roy attended Syracuse University (’95) where he earned Third-Team All-American in 1992 and First-Team All-American in 1993, 1994, and 1995. In 1995 he was awarded the Donald McLaughlin Award for NCAA Division I Men's Lacrosse Midfielder of the Year. Roy was instrumental for the Orange in winning two NCAA DI National Championships in 1993 and 1995. Roy graduated from Syracuse University with a Bachelor of Science, majoring in Education. Upon graduation Roy was drafted in the second round of the 1996 NLL Entry Draft. He would go on to become one of the most successful American players in league history over the course of his nine-year NLL career; amassing 394 Points (216 Goals and 178 Assists) in 107 career games while playing for the Rochester Nighthawks, New York Saints, Buffalo Bandits, New Jersey Storm, Anaheim Storm, and New York Titans. Roy also played professional field for the MLL Philadelphia Barrage from 2001-2008. In 61 Regular Season Games, he totalled 125 Goals, 21 2-PTG, 51 Assists, for 197 Points. Roy led the storied Barrage franchise to MLL Championships in 2004, 2006, and 2007. Internationally, Roy first dawned the red, white, and blue as a member of the U19 squad for the 1992 U19 World Lacrosse Championship, in Long Island, NY winning gold over Australia. Next, Colsey would suit-up for Team USA at the 2002 Heritage Cup, in Mississauga, Ontario where he and his fellow Americans would find success again. This time defeating Canada 21-16 in the winner-take-all game, handing the Canada Men’s Indoor team their only loss in history. Roy was then named a member of Team USA for the 2006 World Lacrosse Championships in London, Ontario claiming silver from a 15-1 to loss to Canada in the gold medal game. Roy’s transition from player to coach has cemented his legacy as a true champion. Colsey currently coaches the Ridgefield High School Varsity Boy’s Lacrosse team and in 2018 guided the team to the school's first ever lacrosse (Class L) FCIAC Championship and school’s second State Championship. The 2018 State Championship, a 9-8 victory over top-ranked Darien, made national news by putting an end to the Blue Wave’s 76-game winning streak. In his continued efforts to expand indoor (box) lacrosse in the US, Roy is the founder and head coach of Superstar Lacrosse. The Superstar Lacrosse Bantam Box Team won the 2018 USBOXLA Nationals the summer, while the Peewee squad finished second, losing the championship game in a shootout. Additionally, Colsey has led the Superstar Lacrosse program to three (3) championships at the Northeast Regional’s in December of 2018. “I am very excited to coach the USA U-20 team and to work alongside Graham and the US Indoor Lacrosse staff. This opportunity comes at a time when box lacrosse is growing rapidly in the US and I am honored to have been selected for this position”, stated Colsey. In an effort to acclimate the new staff and roster, USIL will host a multi-session tryout on May 26, 2019 at the United Sports Training Center in Downingtown, PA. 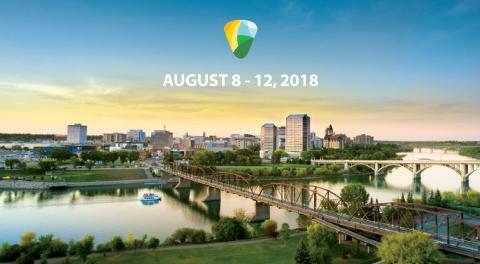 The event will be inclusive to players who have received invitations and to those who expressed interest and will feature indoor drills, training, education, and scrimmage play from Colsey and his staff.  The 2019 IIJL World Junior Indoor Lacrosse Championship will take place at the First Ontario Centre in Hamilton, Ontario Canada on August 6-11th, 2019 featuring Australia, Canada, Iroquois, Israel, and United States with a sixth and final Nation being announced in the coming weeks. The final USIL Junior roster will be comprised of talented, up-and-coming lacrosse players who have a strong worth ethic, willingness to work within a team, and will have promising results at international events and high-level domestic events.